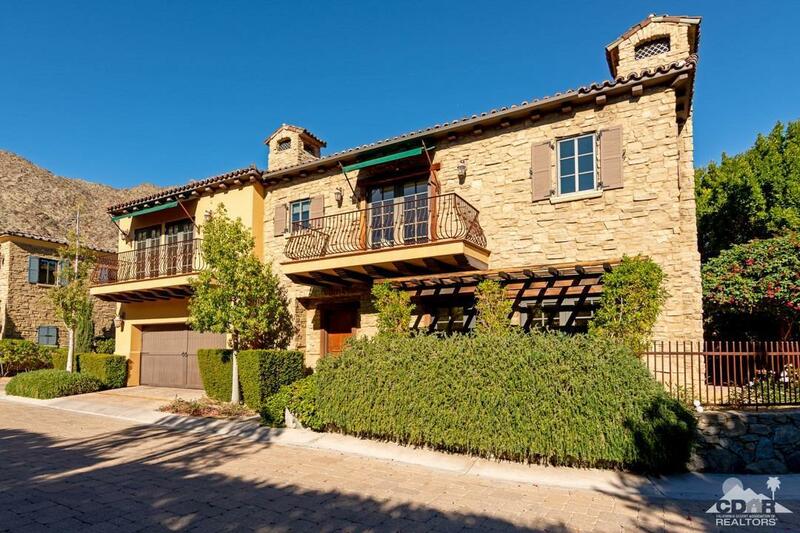 Rarely available, offering 4 bedrooms, this spectacular free standing Villa is located in the gated community of The Villas in Old Palm Springs, within a short walk to all points of interest in downtown Palms Springs. 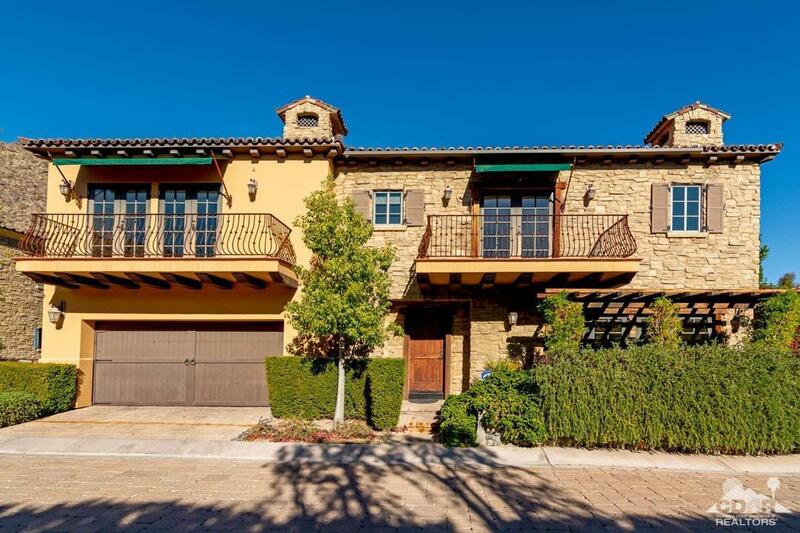 This well appointed Tuscan architectural residence has many upgrades and feels very spacious. 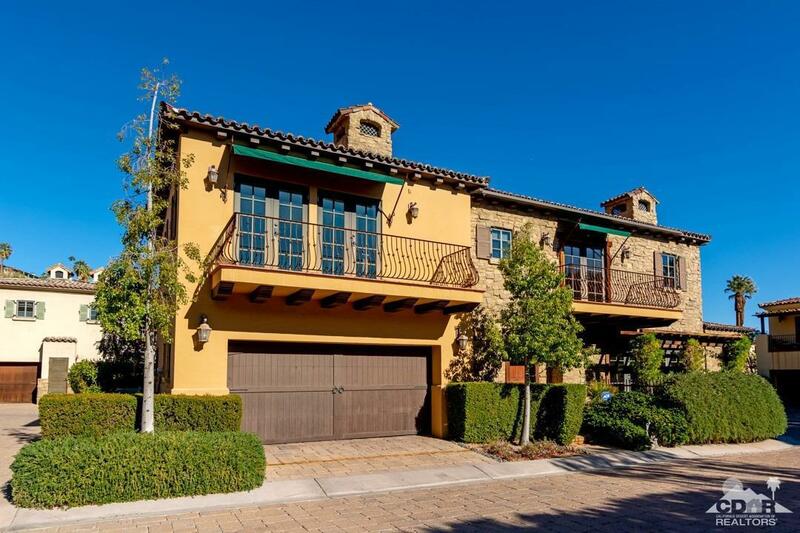 A bright open floor plan boasts high ceilings and a beautiful fireplace in the main living and dining area. The home offers 4 bedrooms each with a private bath, plus a powder room. A master suite is complete with stunning mountain views, large walk-in closet, custom built-ins and exquisite fireplace. The master bath has dual vanities, a custom shower and jetted tub. 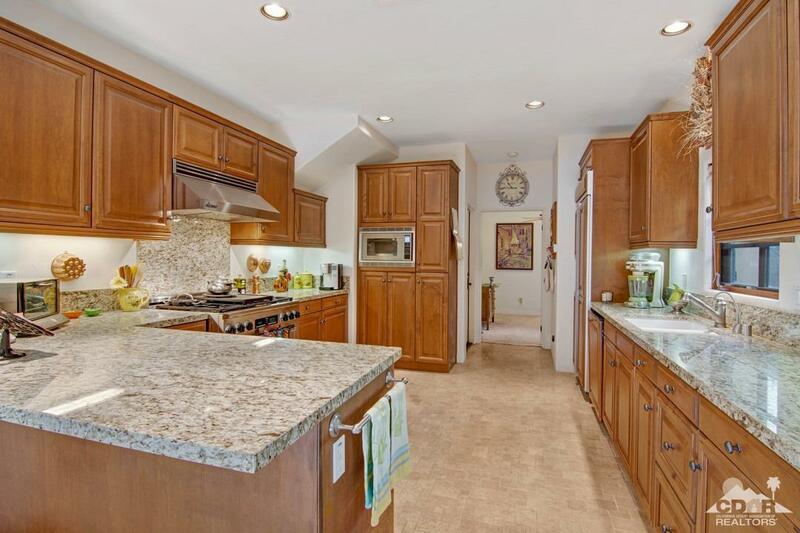 A gourmet kitchen includes high-end stainless steel appliances and granite counters. The extensive use of French doors throughout open to a beautiful outdoor living area ideal for entertaining around the custom fireplace. A 2 car garage is attached. Steps away are 2 community pools, BBQ/picnic area and bocce ball. Listing provided courtesy of Maureen Atkinson of Haddock Atkinson Properties, Inc..